How to downgrade your iPhone/iPad/iPod Touch with TinyUmbrella! 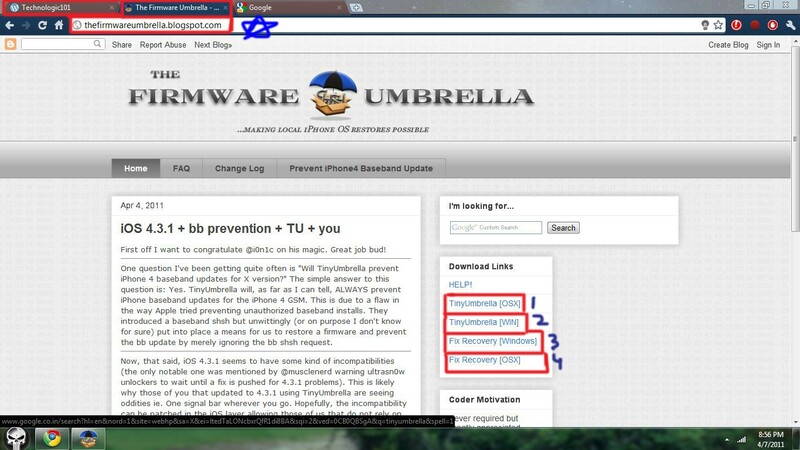 TinyUmbrella is a small but very useful utility which will let you downgrade your firmware to an older one. Here’s an easy to guide to help you out. 1. Latest version of iTunes. 3. SHSH blobs already saved on Saurik server or locally on your hard disk. 4. The firmware file to which you want downgrade your device. 3. Then, connect your device to your computer. 4. Launch TinyUmbrella and click Save SHSH to save SHSH blobs of your current firmware and also to import the already saved SHSH blobs from Saurik server to your local hard disk. 5. Once SHSH blobs are successfully imported, go to Server tab and click on Start TSS Server button. 6. Now, fire up your iTunes. Select your device and open up it’s Summary page. Hold down the SHIFT key (ALT key for Mac) and click on the restore button. 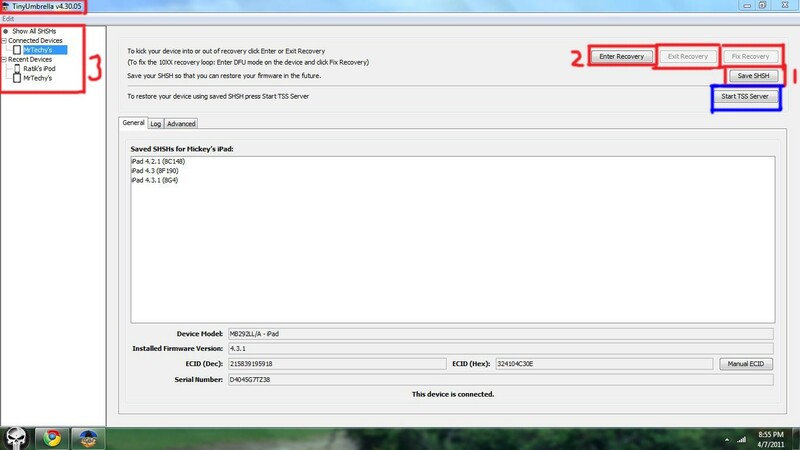 Now select the firmware file and click on Open button. 7. Now, sit back and watch as iTunes restores and downgrades your device. If you encounter error 1015, it means your downgrade process is complete. All you need is to kick your device out to Recovery Mode and to do so, go to TinyUmbrella window and right click on the name of your device and choose Kick out of Recovery. Comment if you have any questions! Thanks. [How-To] Create a DEB package for Cydia! Hacks, themes, tweaks, mods and other stuff can be installed in many ways. One of the easiest way is to convert the whole package into a DEB package so that it becomes easier to install it without messing around with the file system. An iPhone, iPod Touch or iPad. SSH (OpenSSH installed on device). WinSCP, FileZilla, CyberDuck or any other SFTP software. First of all, create a folder on your desktop. Lets call it “X”. Inside your “X” folder, it’s going to be like the iPhone File System. Like if you want to add a file to the root partition, just put the file in “X”. Done! Now, normally install them through iFile, Cydia-Autoinstall or SSH. You can even submit this package to a Cydia repo for others to download.